Hi folks, Stef here! If you've not seen me writing on the Makelight blog before, I'm Emily's husband - I've been quietly designing and building a lot of what you see on Makelight.com so far, so I thought I'd write occasionally when we have something new to share. And we do today! We've just released some brand new features for the Makelight community, so I thought I'd take you through what's new so you can have a go. 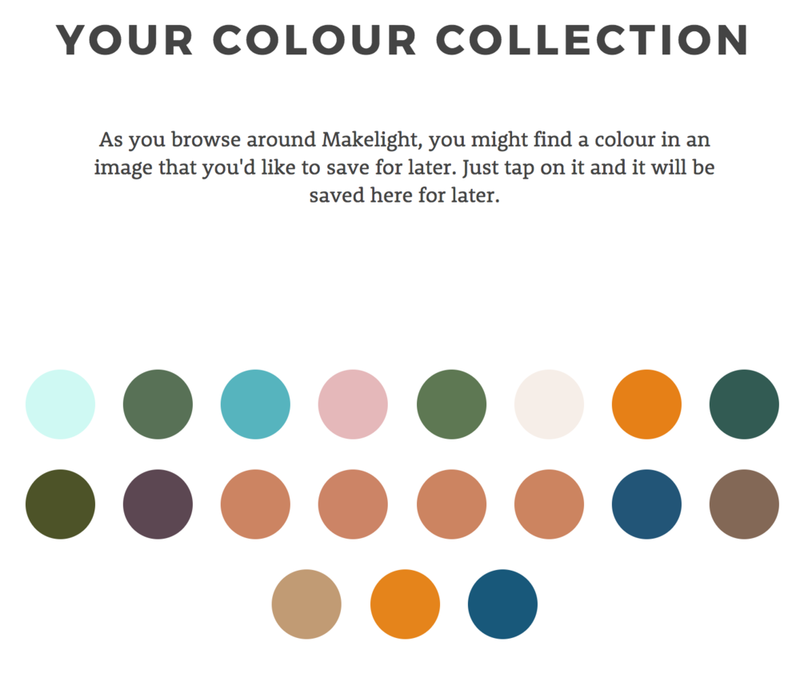 We've been working on two big areas of our website: hashtags and colours. Read on for a bit of an update! Finding hashtags to use on Instagram can be a tricky process. It can be lots of fun too, but we always hear similar questions whenever we run our Beautify Your Instagram and Photography for Makers courses: How do you find good hashtags? How do you decide which hashtags to use? How do you keep track of which hashtags to keep using? I have a background in computer science and artificial intelligence, so I've been busy crunching the numbers and building our Hashtag Library tool for some time now. It helps answer those questions and we're excited to be sharing a bit of an upgrade with you today! Just before Christmas we got approval from Instagram to use their full API (the way that programmers can talk to Instagram to do similar things to what you do in the app) so now we're building lots of new things with Instagram. This is just the first step for you all! So, what's new? We now have a page that shows you the top 100 hashtags that the community has been using recently. The ranking is based on the people who've joined a Makelight course or are one of our wonderful members. It's updated nightly, so you can always find out what people are using. We've significantly upgraded the Makelight Hashtag Library tool to help you research which hashtags you could be using in. It's still early days, but you can now search any hashtag on Instagram, and then see related hashtags that are similar to it. On every hashtag page you'll see a new heart button. Tapping the button saves it so you can make a list of hashtags you like and you can come back to them later. A big part of what we teach on the online courses we run (and in the upcoming branding course) is an appreciation of colour. I used to run a design agency, so I've been fascinated with colour for years. We now have a lovely little tool that lets you save a palette of colours based on your images, or from colours you find anywhere around the site. Wherever you see a "swatch" of colour – on your Insights report, on someone else's, on an Instagram image, just by tapping it you'll save it to a list of colours. You can get to that in the top left menu when you're signed in. Every colour has a "hex" code that lets you copy and paste that colour into Photoshop, other graphics programs or on your website to help you use that colour elsewhere. If you've joined as a Makelight Member, you'll be able to browse around and follow people directly from the site. Where you see a "Follow" button it will ask you to upgrade your Makelight<->Instagram access. That's our first brand new feature since we've been granted deeper access to Instagram, so look out for more along those lines. If you host a hashtag, run a regular hashtag challenge or are doing anything where there's an Instagram hashtag involved, we're working on a "Hashtag Report" that will pull out all of the people who've been most active, all the images that have been tagged within in a period, and lots more. It's the kind of thing that's useful to help you understand how you're doing with your hashtag, particularly if you're promoting your business. Here's how it's shaping up! Soon we'll have a "new and notable" list for hashtags, so look out for that too! Phew! Lots of new stuff, so please have a play and if you have questions or suggestions let us know. There's a chat box at the bottom right of every page if you'd like to talk about anything, or pop a comment in below. We're really listening to what you all find useful, and what you don't so that we can keep building useful things. What would you suggest next?